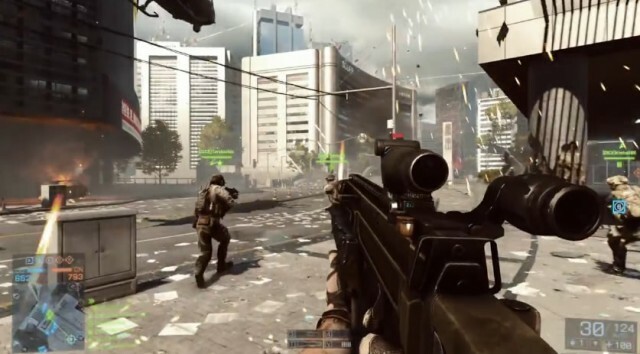 EA has unveiled the multiplayer trailer of Battlefield 4 in the E3 expo which is being held at los-angeles now , Battlefield 4 is one of the most anticipated games of the year . The demo game play video was from the map , siege of china . The first looks into the trailer left viewers worldwide jaw dropping . The demo was a ultimate showcase of destruction . 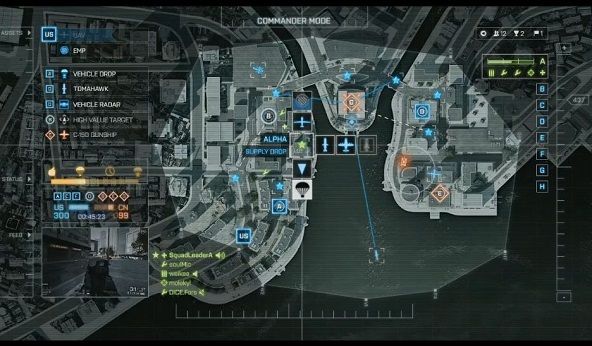 Battlefield 4 brings back the old commander mode and increases the squad limit to 5 players , where the 5th place is for a commander , who can control the game tactics from a PC or battle-log enabled mobile device and tablets . The demo showcases all the aspects of land , air and sea warfare . Battlefield 4 will releases 0n October 29 on the PC , Xbox 360 , Ps3 and the next gen Xbox one and PS4 consoles . The PC ,Xbox one and the Ps4 will support 64 player online multiplayer . while the Ps3 and Xbox 360 will be limited to 32 player online multiplayer.